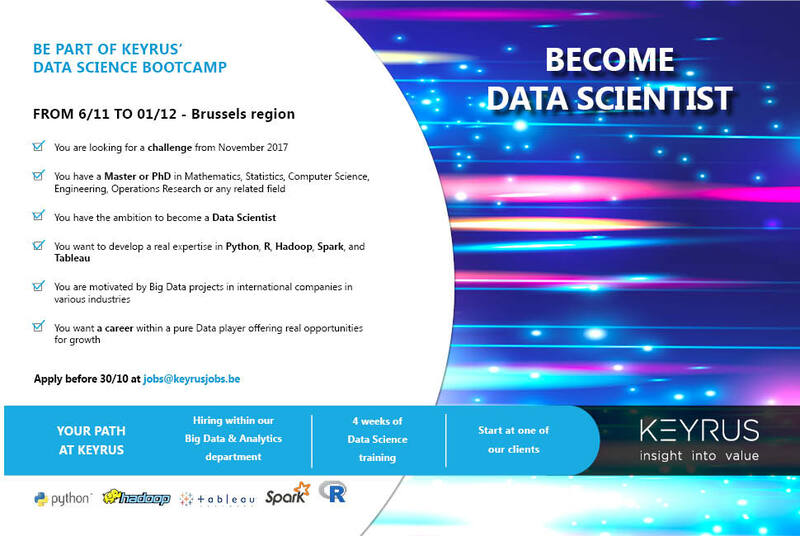 Keyrus Belgium launches its 5th Data Science BootCamp which will take place from 6 November 2017 in Brussels region. For four weeks, participants will receive a comprehensive training on Big Data and Analytics languages ​​and technologies: Hadoop, R, Spark, Python and Tableau. They will be able to develop their skills in an accelerated way through the supervision of experts in Big Data, Machine Learning and Visualization. At the end of this training, the new Keyrus Data Scientist will be integrated into the Big Data & Analytics team on various projects. 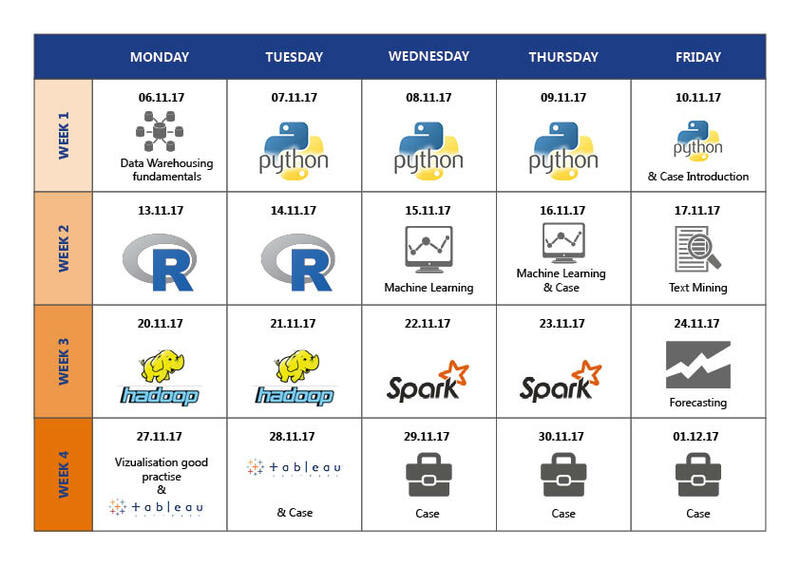 The Keyrus Data Science Bootcamp is also available for companies. If you are interested, please contact info@keyrus.be for more information.